THE EPO scandals aren’t a thing of the past. They’re a thing of the present and future, as the Alexandre Benalla blunders serve to remind us. “Corrupt Battistelli is said to have decided behind closed doors who would head the EUIPO, not just the EPO.”Readers may or may not still remember the role played by Belgium in the appointment of António Campinos after Battistelli had allegedly made back room deals. We summarised this recently in light of confirmatory rumours. Corrupt Battistelli is said to have decided behind closed doors who would head the EUIPO, not just the EPO. Overreach? Sure. But Battistelli understands no such concept. He thinks he owns Europe. He’s drunk on power (ENA mentality), which makes Benalla compatible with his needs. Christian Archambeau, the former deputy executive director of the European Union Intellectual Property Office (EUIPO), has today become executive director of the office. Archambeau has been serving as acting executive director of the EUIPO since the former director, António Campinos, began his term as president of the European Patent Office (EPO) in July. On July 13, the Permanent Representatives Committee, which is responsible for preparing the work of the European Council, voted to recommend Archambeau as executive director. Archambeau has been acting executive director of the office since July 1. Prior to that, he worked as the EUIPO’s deputy executive director under former director António Campinos, who joined the European Patent Office (EPO) as president back in July. 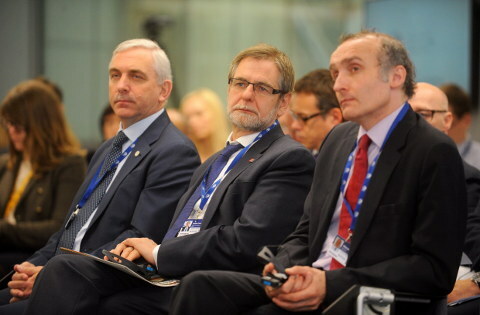 He originally joined the EUIPO in 2010, and before that he worked in roles including principal director at the EPO and in various management positions at the European Space Agency. He has been the favourite to take over the role since Campinos departed, and on 13 July he was recommended by the Committee of Permanent Representatives of the European Union (COREPER) to fill the vacancy. The European Council subsequently confirmed his appointment in mid-September. Share this post: These icons link to social bookmarking sites where readers can share and discover new web pages. If you liked this post, consider subscribing to the RSS feed or join us now at the IRC channels. Who Does the Legal System Really Serve or Favour in European Patent Disputes?